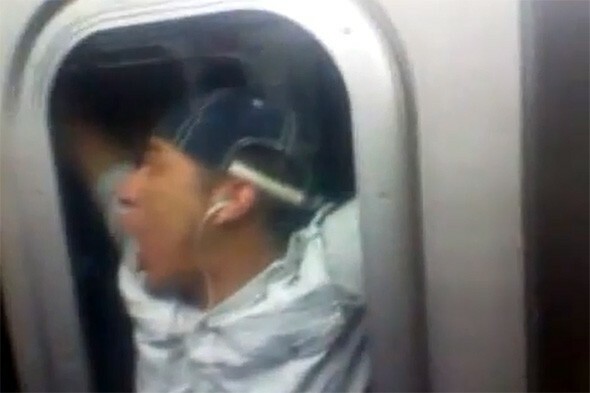 Teenagers in New York are putting their lives at risk by performing dangerous subway stunts to film and posted on social media sites. The deadly trend sees teens and young adults jumping on or over subway tracks while their friends capture them on their cameras or mobile phones. According to TheBlaze.com, they also cling to the sides of moving subway trains or stand on top of the trains, in a move known as 'subway surfing' or 'skylarking'. Now New York City officials are demanding the Metropolitan Transportation Authority take action. Manhattan Borough President Scott Stringer told CBS New York: "This game should be an embarrassment to New Yorkers. I don't think we should let it go. I think we should prosecute people who do this because they are putting other people in harm's way." The MTA called the stunts "exceedingly stupid" and "extremely dangerous" and said "we have just three short words: 'Don't do it.'" Last year, there were 55 subway-related deaths and there have been more than so far in 2013, including Liam Armstrong who was struck by a train while running across the train tracks at 79th Street Station.